The Lion Inn has seven double en-suite rooms including one mini-suite and one suite and is part of the 'Best pub group of The Year 2016' by The Good Pub Guide. At The Lion Inn you can enjoy delicious home-cooked, locally-sourced food and a great selection of beer, wine and spirits in a beautiful, relaxing environment that dates back to the 15th Century. Each of our seven double en-suite rooms have their own individual character including a converted hayloft, two with their own stone stairway and one with a vintage mural of Mickey Mouse. We are passionate about the little things; simple and stylish décor, power showers, comfortable beds, feather duvets, fresh flowers and natural products. Rooms are also clutter-free which means no televisions but scrabble and playing cards instead. Our bathrooms feature Bramley products which contain the highest grade pure essential oils, 100% natural botanicals and rich cocoa and shea butters. As a true country pub, we also serve delicious home-cooked, locally-sourced food and a great selection of ales, wine and spirits in a beautiful environment that dates back to the 15th Century. The constantly changing menu can also be enjoyed al-fresco in the large, sunny well-stocked garden. We are proud to be part of 'Pub group of the year 2016' by the Good pub Guide. 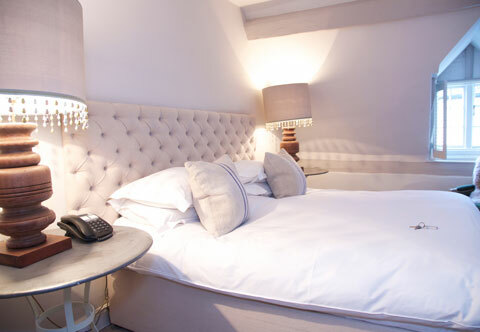 The Lion Inn is an ideal base from which to explore some of the most beautiful locations in the Cotswolds. There is stunning countryside, beautiful walks and cycle routes, open gardens, festivals, country fetes, races, vintage car hill climbs, local cider, perry and beers, pick your own fruit, and fields of Cotswold lavender. Broadway is only 15min away.